Tonight, August 11, the Brooklyn Bridge Park Conservancy and SyFy will screen Breakfast at Tiffany’s, the 1941 film starring Audrey Hepburn that features what is widely viewed as one of the most problematic representations of Asian Americans in cinematic history. 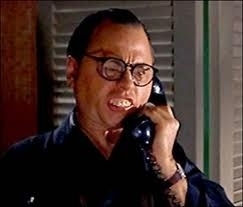 You’ve seen the cringe-inducing clip -- Mickey Rooney in yellowface as the bucktoothed and bumbling Japanese neighbor, Mr. Yunioshi. When documentary filmmaker Ursula Liang caught wind of the screening in July, she quickly launched an online petition and called for a boycott of the event, shocked that the film was making the rounds without any context. Though the petition has been slow to pick up signatures -- about 300 people have signed it -- the cause still went viral, garnering national and international press. Other Asian American commentators have argued that the boycott was “an act of bullying to prevent people from enjoying the film.” And then there was the predictable off-color commentary about protesting the film in the first place that we won’t legitimize by re-publishing here. From Thursday’s “Breakfast at Tiffany’s” screening, to M. Night Shyamalan’s “whitewashed” casting of “The Last Airbender,” to Abercrombie & Fitch’s “Two Wongs can make it white” t-shirts, the Asian American community has a long history of relying on boycotts to protest questionable media representations. In the case of the Brooklyn screening of Breakfast at Tiffany’s, the Conservancy has at last responded to Liang’s petition by promising to make an announcement before the film that acknowledges that it contains a character that’s “indefensible and offensive,” and by screening a short documentary by Media Action Network for Asian Americans. Liang is also organizing a free counter-screening of Dragon: The Bruce Lee Story on August 11 at a venue in Brooklyn with filmwax films. But not all boycotts produce favorable results -- and even Liang doesn’t consider her effort to be a full victory. Liang and Yang -- who are old friends -- speak with Hyphen about why and when boycotts work, and what might serve as a better alternative to challenging stereotypical media images. Have you had discussions with others or each other that have changed or refined your thoughts on the Breakfast at Tiffany’s boycott? JY: The brief conversations I've had with Ursula have generally confirmed that we have the same fundamental concerns, and even a similar reaction to the Conservancy's position on the film -- she's told me that her initial goal was simply to engage with the Conservancy and they shut her down point blank, leading her to launch the campaign. Where we differ, and this is basically a matter of tactics, is in my general lack of faith in boycotts as the best tool to fight creative battles. I think they tend to be impractical: If you want an institution to change its planned course of action, especially one they've already logistically and financially invested a significant sum in, you need to convince them that there's a competitive advantage in making that change. That can come from the stick or from the carrot. The stick works best if you have real market power. And the reality is that, as of right now, Asian Americans don't. Certainly not in downtown Brooklyn, where we don't make up a big enough or politically potent enough percentage of the population to faze most institutions. We're about 10 percent of the overall Brooklyn population. Contrast that with Sacramento, where Asian Americans represent more than 22 percent of the population and a boycott of Breakfast at Tiffany’s actually worked. That doesn't mean that a vocal protest won't move the needle -- I think Ursula's campaign has! But one danger inherent in boycotts is that it can cause institutions and other stakeholders to resist any attempts at suasion toward more positive behavior in the future. That brings us to the carrot. Organizing and offering a slate of pre-built programming, as high-profile and attractive as possible to frame and enhance the screening might have been welcomed by the Conservancy. Reacting to these things by brandishing Asian American talent and our ability to serve as a resource is generally going to have a better long-term outcome. It means we might get asked to be a partner in future planning and programming, rather than seen as a potential enemy. And it means that we can potentially give real opportunities to our creative artists, while providing a teachable moment to an audience that would likely be receptive. UL: I'm stubborn. So, no, my position hasn’t changed. My positions have been twisted and misinterpreted a bit, so I have paused to rethink my arguments as I fend off cries of censorship and oversensitivity. It was a hastily born boycott that went viral very quickly, but I think it's valid. Strategically, the fast, hot emotion that went into creating the protest and perhaps misleading the headlines has worked. People are talking. Boycotts exist in a space dangerously close to censorship and that's what pushed this topic into the international press. (Just to be clear, boycotting an event is not the same as censoring a film). I don’t agree with Jeff’s Downtown Brooklyn numbers argument; proximity doesn’t necessarily determine an audience. I’d argue that Asian Americans are overrepresented at free events, in fact. You know how we like a deal! Plus, this is a decidedly multi-ethnic protest. I also don’t agree that the stick is not the best weapon here. The carrots Jeff proposes are a hard sell for an event like this. A programmer of an outdoor event has to consider attention span, branding, noise, technical, and time restrictions. In general, a successful boycott of a film event would result in either a) a pitiful event that shows that we do in fact have numbers, power, and the support of other communities or b) a replacement film that reflects a thoughtful and sensitive selection process. A failed boycott that gets enough press could still lead to some sort of compromise that uses the film as a teaching tool. I’m also a little disturbed by arguments from the community that amount to censorship of my voice and momentum. So what if I’m a little angry? So what if my tactics are a little imperfect? When you’ve been protesting something for 50 years and people still won’t listen, sometimes you just want to say @#! * %@!. Maybe it’s not market share that our community needs, but enough fire to make people think twice about ignoring us. I don’t mind being the bad cop. At least the boycott opened doors for Jeff’s strategy and it gets people talking. Dialogue is the ultimate goal. JY: I'm completely against the people in the community who have tried to dismiss or suppress Ursula, as well. Whatever your opinion is, share it -- but don't deny others their voice and personal reaction. We want more dialogue, not less! Ursula has been the best "bad cop" the community could have asked for, in that she has never sounded anything less than rational while presenting the kind of passion necessary to make people sit up and listen. She sparked a reaction that has put our oft-ignored perspective into the public eye, and for that she should be commended. A boycott is fast; organizing a coalition and presenting an alternative proposal is not. I do think it's important to grow beyond boycotts, however -- it's been something I've talked about consistently, and with increasing volume, as I watch our best talent fade from awareness. We need to worry about getting our creative stuff made, exhibited and seen, before the window for us to do so in a way that isn't fundamentally compromised passes. And I think the back end of that window is hurtling toward us fast: Already, globalization has effectively replaced multiculturalism as the core proxy for diversity. That's not something we can or should resist as Asian Americans -- in a globalized world, we have distinct advantages. But if we want to embrace it on our terms, we need to cultivate the individuals and institutions that can represent us as Asian Americans on the global stage. UL: Agreed. The persistent argument that this is small potatoes is annoying. Jeff and I are both fans and consumers of pop culture, and there need to be both heady and breezy critiques that drive Asian American issues into the mainstream consciousness. In fact, the screening of this racist caricature directly competes with films being played at the Asian American International Film Festival in New York. Enough with this flick that’s offensive, has wide DVD distribution and has earned the studio quite a bit of cash -- I'd rather support an Asian American filmmaker or a nuanced portrayal of Asian Pacific Americans. What are some personal experiences you've had as an Asian American that informs your perspective on whether boycotts work? UL: I’ve been trapped under a rock of newspaper ethics for a while now. As a journalist -- for certain publications -- you’re expected to maintain an image of impartiality and abstain from overt activism. So I can’t say I’ve tested all the tactics available. But time and energy are often the barriers for action. I’m afraid if we don’t act in the moments that we’re inspired, we won’t act at all. I think the best organizing, these days, sadly might be the kind that requires the least amount of effort from supporters. Asian American men, age 25 to 54, spend 50 percent more time on the Internet than all other men. So the online petition seems like a sensible tool. The boycott -- an active passivity -- seems even more likely to garner support. I was surprised to see how few people made the effort to click and support the Breakfast at Tiffany’s protest. Maybe a boycott is fundamentally childish. You’re pissed off and stomping away from a situation, and it only tangibly punishes the offender if an army of kids runs off. When I was a teenager, I joined in the boycott of Coca-Cola when the company was heavily invested in apartheid South Africa. The soda giant partially withdrew operations from South Africa to save face. But I stopped drinking soda for 15 years, and in depriving myself (we all know how perfectly paired Coke and Chinese food are), I found a certain kind of inner strength. If boycotts are ineffective at least they’re energizing. Asian Americans are so distracted these days that we need any type of fuel that we can find to bring our issues back into play. JY: My problem with Asian American boycotts is that they're predicated on the idea that we, as Asian Americans, have the consumer power to hurt something by not showing up. Well, if we really have that kind of consumer power, why the heck don't we show up to support the Asian American stuff we want to encourage as an alternative? You might get thousands of people to sign an online petition, but I'd be surprised if most of those individuals regularly "vote with their wallets" in the affirmative for Asian American artists. This divide was apparent during the protests of the musical Miss Saigon in the ‘90s. There were two distinct and opposing subgroups of protesters -- those who wanted Miss Saigon shut down as offensive garbage, and those who wanted the show to go on -- but fought to see that all its roles were played by actual Asians. The latter included most of the actual performing artists who participated in the protests; there are few enough opportunities for Asian American theater performers as is, and they saw shutting down a big-budget musical with roles for dozens of Asian Americans as an appalling mistake. Back then, my sympathies were with the former group, but now I lean toward the latter. I'd rather see more art -- even art that I personally find unpleasant or offensive -- and more opportunity, than less art and continued silence and invisibility for Asian creatives. Because in the long run, the best antidote to crappy images and hideous practices like yellowface is for us to create and produce alternatives that people like better and enjoy more. And that doesn't happen with all of our artists out of work. And it doesn't happen if we don't support the work they do when they are working. Full Disclosure: Liang is a former Hyphen staffer, and Bernice Yeung's former roommate. And speaking of supporting by clicking, read more on Yang's efforts here, and click here. Read more about Q&A with Ursula Liang and Jeff Yang: Did the 'Breakfast at Tiffany's' Boycott Work? Being that I hail from an ethnic group that is shown in the American media as gangsters, dysfunctional families and loud mouth social misfits (then again, that may describe most groups) I can feel a small amount of sympathy for the feelings of the people in this article. . I have pondered upon this for more than a few hours and I have come to the conclusion I wouldn't change the image of my group despite having many accomplished individuals in it that never seem to make it to the screen large or small. . At best, a half picture has been shown but in truth I have known those individuals as portrayed in the media. Why change what is? . I can say the same for Asians of all kinds. A while back I read of the upset over the movie Flower Drum Song. I was aware of it, that it was "out there" but I never felt compelled to watch it until I read this article. From my experience, there was no one in that movie I hadn't met in real life. I grew up having contact with many immigrants and I could say those Chinese immigrants were a funny bunch (as most immigrants are). I thoroughly enjoyed the movie and never thought less of the Chinese because of it. I also watched Madame Butterfly and was never left with the feeling Japanese girls had proclivity towards suicidal behavior. MB was a story of hopelessness, not one of racial superiority (as it is often portrayed). . I think it is up to Asians to make their case, to produce compelling entertainment that will attract a wide audience. . Memoirs Of A Geisha did just that. Bob Marshall directed a film that caused millions to see the story of young Chiyo and her journey through life. There is an audience for a good story. The fact either version of Flower Drum Song attracts viewers says the general American public will watch if given a good reason too. . I always thought the Japanese movie The Sea Is Watching if translated into "American culture" would make a good stage play. . Less boycotts and more thought into what people will pay to see is where the energy should be directed. I actually went to the screening of Dragon that was scheduled for that Thursday. Needless to say I was both surprised and disappointed to discover that I was the only one who did. The bartender informed me that the organizer didn't even call to cancel. I can tell you that this particular protest (replacement film), did NOT work. Nice one, Liang.